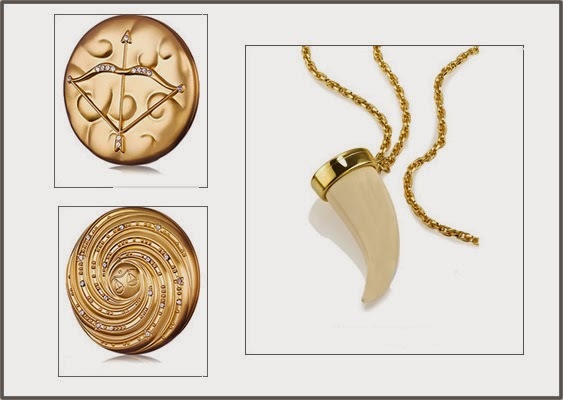 Estée Lauder created a selection of compact powders and solid perfumes with a theme based in the Zodiac, talismans, amulets and charms. 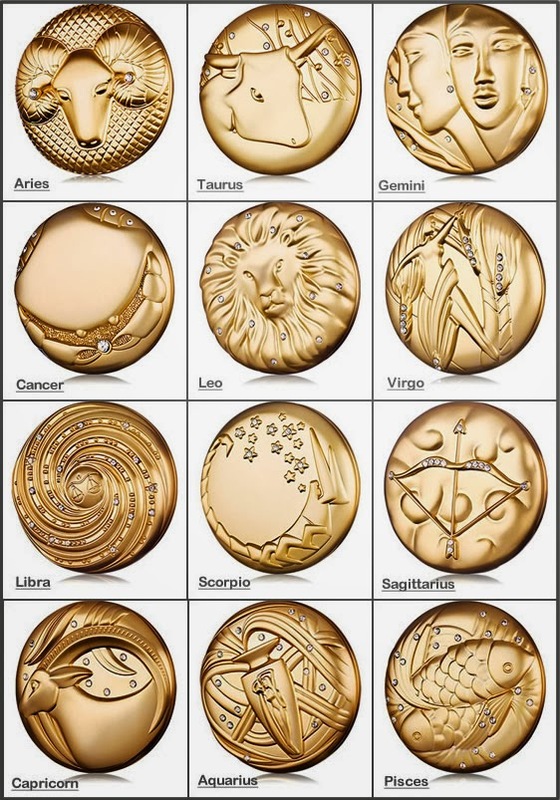 The cases are so so cute and can be personalize by choosing from a Zodiac symbol or just the perfect amulet to carry solid perfume. The compacts are adorned with a clear Swarovski crystal and a beautiful magnetic closure. 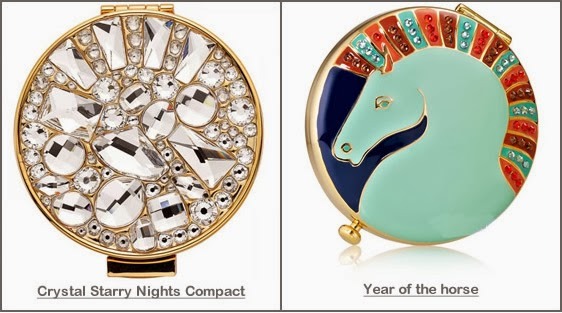 Besides the Zodiac, you can also pick the one that represents the year of the horse (2014), or if you want to spend a little more money a powder compact called Starry Nights, encrusted in colorful crystal and stones. I think this is such an original gift idea for Christmas! Its a unique idea to give as a gift beautiful. So beautiful, I like so much!! Que preciosidades, espero que mi chico tome nota de tu post!! this is such great packaging!